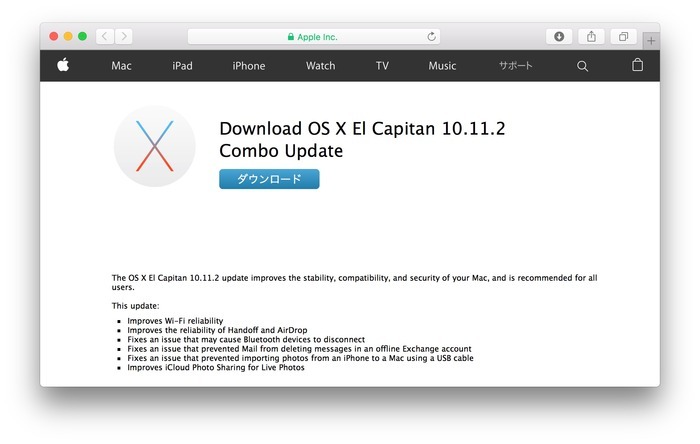 Appleが2015年12月8日に公開したサポートドキュメントまとめ。iCloud Music Libraryの上限は10万曲になり、iPad Proが反応しなくなる不具合はiOS 9.2で修正。 | AAPL Ch. *You can have up to 100,000 songs in your music library. Songs you purchased from the iTunes Store don’t count against this limit. Updating your iPad Pro to iOS 9.2 or later might prevent this issue from occurring in the future. *To use iCloud after exceeding your available storage, remove backups, photos, documents, or email messages you don’t need. You can access photos, videos, and documents for 30 days after you delete or disable iCloud Photo Library and iCloud Drive.